Ben & Jerry's: Peace, Love & Occupation? 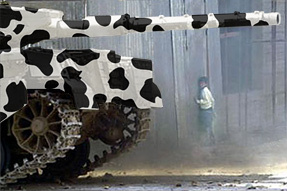 What if Israel Invaded Vermont? The video "Natural Born Settlers" is by Iris Zaki, an Israeli filmmaker. She wrote I’d never understood the Israeli settlers. So I moved in with them. So I decided to move from my home in cosmopolitan Tel Aviv to the settlement of Tekoa in the West Bank for a summer. 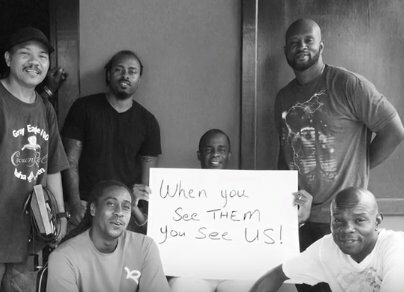 The video is part of a series by independent filmmakers in the New York Times, supported by the Pulitzer Center. This was the second year's protest at this event in Finland in June 2018 (that draws 70,000-80,000 people). 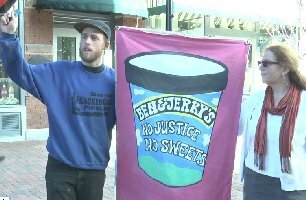 After the 2017 event the protesters tried without success to talk with Ben & Jerry's about ice cream sales in the settlements. So they demonstrated again this year. Ben & Jerry's was one of the most visible sponsors of the event and for one hour they were handing out free ice cream. People demonstrated at their stand during this time. Subsequently the company suggested a phone call with their European Social Mission Strategy Manager and some of their US people. Their position was they don't know how much of the Israeli licensee's business in the settlements, which is very small, and anyway countered by the good they are doing in the region by contributing to various projects and buying from Palestinian farmers. The protest was organized by The Left Youth of Finland and by ICAHD Finland - The Israeli Committee Against House Demolitions who provided the photos. In April, and again in May 2018, VTJP wrote to the executive management team of Unilever in the Netherlands. Ben & Jerry's is a subsidiary of Unilever, a British-Dutch conglomerate which bought the Vermont company in 2001. The first letter urged the company "to intervene immediately and decisively, as Ben & Jerry's parent company, to put a stop to your U.S. subsidiary's commerce conducted by its Israeli franchise in Israel's illegal, Jewish-only settlements in the occupied West Bank and East Jerusalem." The letter charted the history of Ben & Jerry's complicity with Israel's occupation and settlement regime, in violation of international law, and VTJP's efforts to put an end to it since 2011. It also noted the allegation VTJP made in 2014, based on information from Israeli activists, that Ben & Jerry's franchise in Israel purchases equipment from an illegal settlement in the occupied Golan Heights of Syria. Once again, Mr. Solheim did not make a single reference to the occupation or Israel's settlements - an omission more striking than normal given that it came during the period of massive protests in Gaza (The Great March of Return) and the slaughter and maiming of nonviolent protesters by Israeli snipers. VTJP rebutted Solheim's points in its second letter to Unilever in May, and expressed again its desire to engage Unilever directly. We have yet to receive a response to the second letter (July 2018). 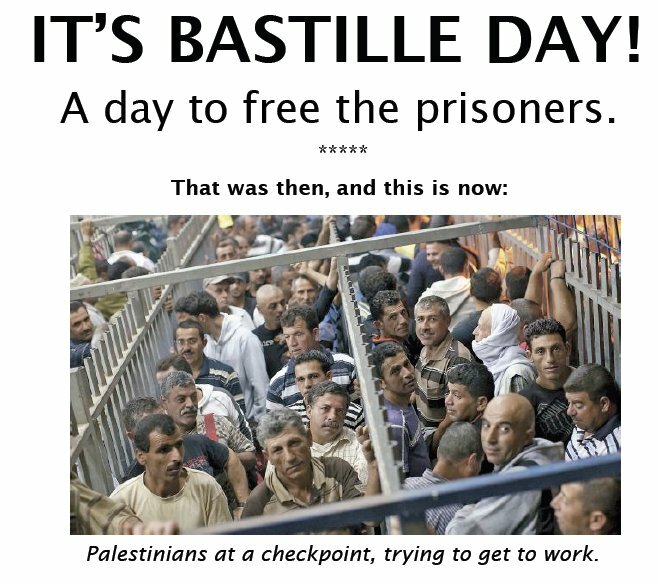 but Palestinian People are not Free! This year (2018) hundreds of people sent emails to the Ben & Jerry's Management, Board and Founders about sales of their ice cream in illegal Jewish-only settlements in occupied Palestine, and their failure to live up to their declared Social Mission. Others left phone messages for the company's Global Director of Social Mission. And people handed out leaflets at scoop shops for those in line for their free ice cream. 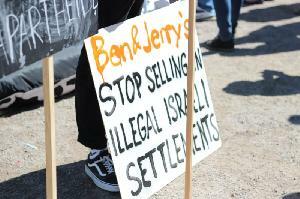 The message to Ben & Jerry's: "Stop your complicity in the Illegal Occupation of Palestine!" Update - In December 2017 these containers of Ben & Jerry's ice cream were photographed by an Israeli citizen at the Shufersal Store at Moshe Dayan Street in the illegal settlement of Pisgat Zeev. Note that this Shufersal store displays a map of their store locations that show Palestine and Israel as all one country. June 23rd 2017: Release arrested Vermont dairy workers! Wafic spoke on behalf of refugees, migrants and exploited workers everywhere at the Migrant Justice rally at the State House in Montpelier, demanding the release of two organizers of the Milk with Dignity march to the Ben & Jerry's factory in Waterbury arrested five days previously, (see 7-Days Report). VTJP joined hundreds marching from Montpelier to the Ben & Jerry's factory supporting the demand of Migrant Justice: the Company " must ensure farmworkers' rights are respected in their supply chain by joining the Milk with Dignity Program, without further delay, as promised 2 years ago!" Ominously, shortly after the March, border agents arrested two of the organizers, 7-Days Report. 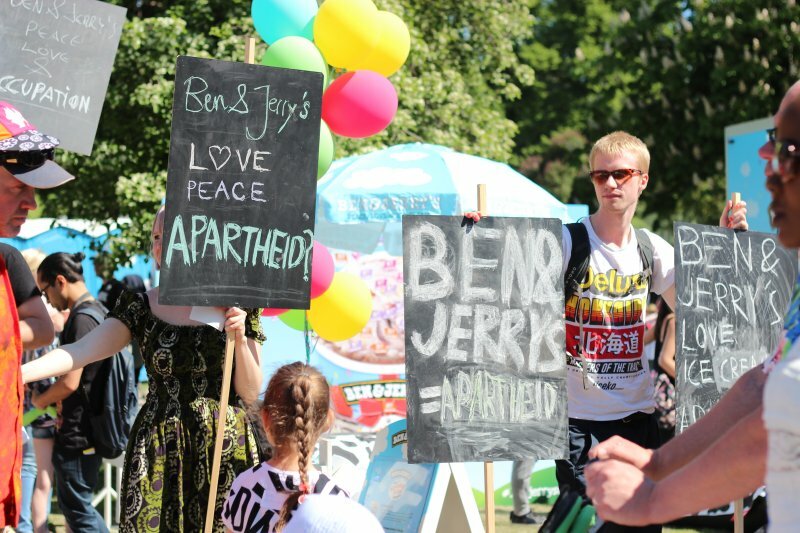 At the World Village Festival in Helsinki, Finland's biggest multicultural event, Ben & Jerry's was one of the sponsors. They had a panel on May 27th 2017 on social responsibility, and the Ben & Jerry's person in the 'hot seat' Soledad Piñero Misa (the new Nordic Social Mission manager) was challenged by a sign reading "Ben & Jerry's: - Stop Selling in Illegal Israeli settlements" and asked why do they profit from war crimes and when will they stop? She explained that she's only been on the job a few weeks and doesn't know about the Palestine connection, but will look into it. Even more Ben & Jerry's ice cream will now be sold in illegal Jewish-only settlements in the West Bank as the Netanyahu-Trump collaborative plans 2500 more residential homes for construction in illegal settlements. This was reported on January 24th 2017 by the Guardian newspaper and the BBC. This is in addition to plans for additional construction in East Jerusalem to consolidate its annexation. At the same time there is a huge increase in demolitions of Palestinian homes by the Israeli occupation. Profits will trump "Peace and Love" again. The Office of the United Nations High Commissioner for Human Rights is implementing the mandate arising from a resolution adopted by the council on March 24, 2016, entitled Israeli settlements in the Occupied Palestinian Territory, including East Jerusalem, and in the occupied Syrian Golan.This office of the U.N. is mandated to report to the Council on implications of the Israeli settlements on the civil, political, economic, social and cultural rights of the Palestinian people throughout the Occupied Palestinian Territory, including East Jerusalem, and to produce a database of all business enterprises involved in activities having implications for those rights. We have requested that Ben & Jerry’s and its franchise in Israel be added to the database. The UN Human Rights Council is an inter-governmental body within the United Nations system made up of 47 States responsible for the promotion and protection of all human rights around the globe. Ben & Jerry's: Why do Palestinian Lives not Matter to You? We commend Ben & Jerry's for taking the brave step of aligning the company with the Black Lives Matter movement in a statement posted October 6th 2016. But the company continues to miss opportunities to take specific actions to show that it respects the lives of Palestinian refugees and Palestinians living under occupation. 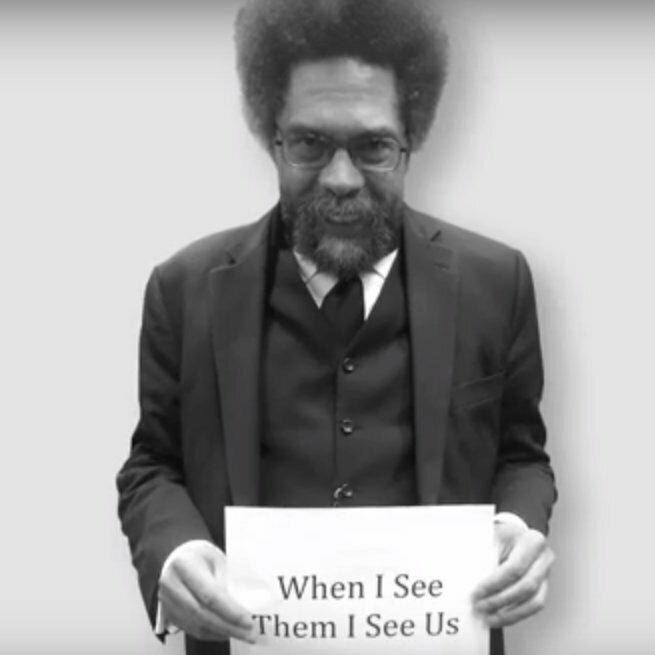 Many activists in the 'Black Lives Matter' movement identify their struggle with the struggle for human rights of Palestinians who are denied basic freedoms by the Israeli occupation (When I see them I see us). Ben & Jerry's statement says "we have a moral obligation to take a stand now for justice and for Black lives." And yet by failing to speak out against the occupation they have shown little interest in justice for Palestinians. The company continues to sell ice cream in illegal Jewish-only settlements and to send ice cream treats to Israeli soldiers of the occupation forces. Ben & Jerry's statement says "All lives do matter. But all lives will not matter until Black lives matter." 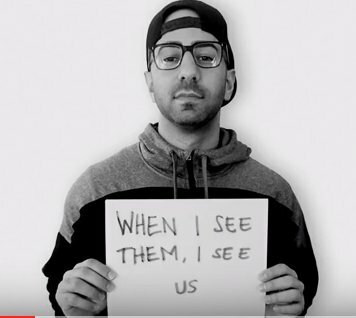 As the Black Lives Matter movement has made perfectly clear, all lives include oppressed Palestinians as well as oppressed people of color in the US. The statement continues: "We’ve come to understand that to be silent about the violence and threats to the lives and well-being of Black people is to be complicit in that violence and those threats." That's what we’ve been saying to Ben & Jerry's for 4 years now - that to be silent about the occupation of Palestine, which daily humiliates and brutalizes 4 million Palestinians, is to be complicit in the crimes committed by Israel's government and occupation forces. 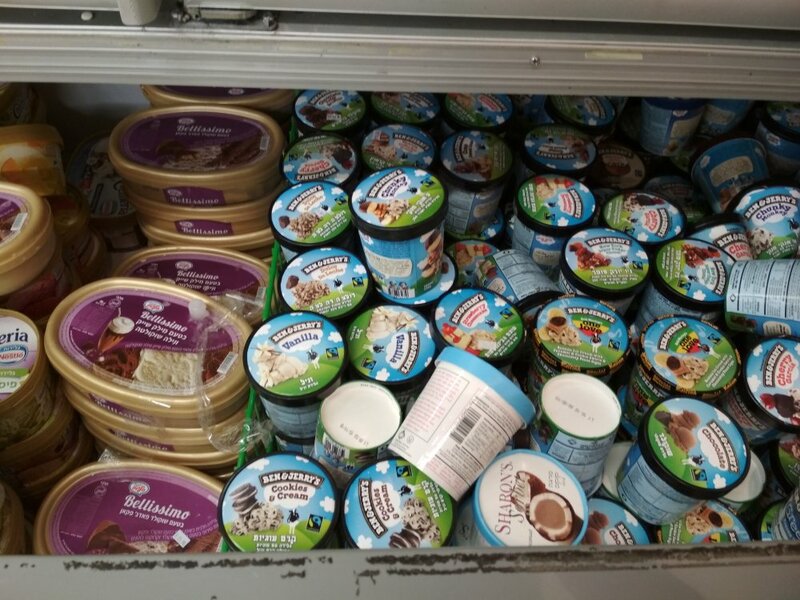 Ben & Jerry's could take immediate constructive steps by speaking out against the occupation and by stopping sales of their ice cream in the settlements. But Palestinians' lives apparently do not matter enough. Ben & Jerry's refusal to stop the sale of its ice cream in illegal, Jewish-only settlements in Occupied Palestine is having repercussions for Unilever, its parent company. 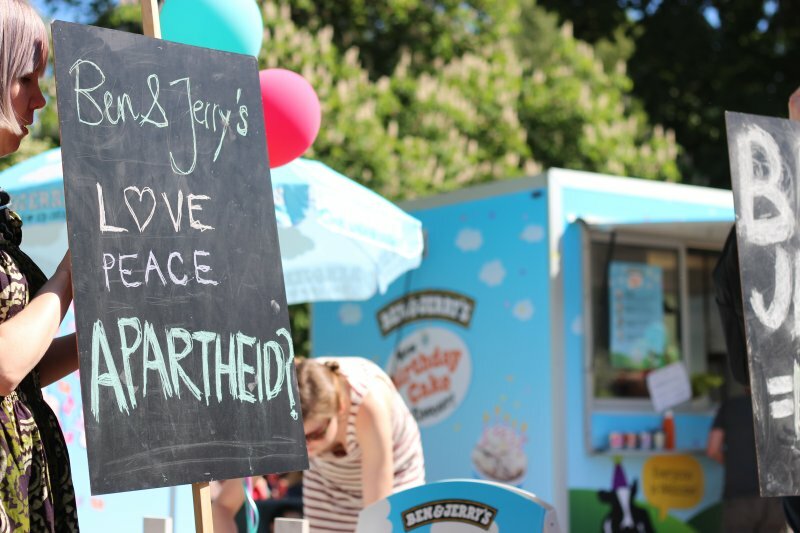 The British organization Embrace the Middle East has sold its holdings in Unilever, because its subsidiary, Ben & Jerry's, markets and sells ice cream in Israeli settlements. This according to Jeremy Moodey in an article titled "UK anti-boycott rules: 5 reasons why they are undemocratic and wrong" in the publication "Christian Today". Ben & Jerry's and Unilever should both take note. In an article in the Guardian newspaper, Unilever CEO Paul Polman was quoted as saying "There are many people now that don’t want to invest in companies that create a worse future for their grandchildren." 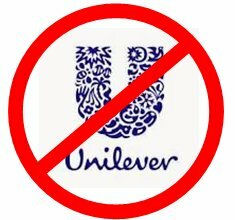 Unilever is an Anglo-Dutch multinational consumer goods company co-headquartered in Rotterdam, Netherlands, and London, UK. 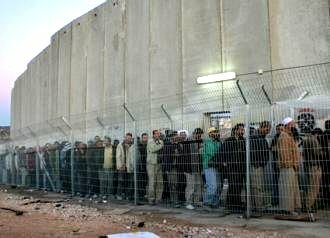 Israel has its infamous apartheid wall, but humans, too, build walls — internally. Jeff Furman, the chair of Ben & Jerry's board of directors, is a case in point. Recently VTJP wrote a letter to Ben & Jerry's Board of Directors Chair, Jeff Furman, a long-time civil rights activist and progressive voice in support of Palestinian rights. We asked him and Ben & Jerry's CEO Jostein Solheim to publicly condemn the ominous targeting of Israeli Palestinian BDS co-founder Omar Bargouti by the Israeli Minister of Intelligence for "targeted civil thwarting". In this interview, the Minister makes accusations against Mr. Bargouti, insinuating that he and other BDS activists have ties to terrorist organisations, without giving any evidence. When we received no response from either Mr. Furman or Mr. Solheim we called on our supporters to personally email them requesting appropriate action. Over 100 individuals wrote personal (not 'form') emails. Mr. Furman did respond, but only as an individual not as an official (Chairman of the Board of Directors) of Ben & Jerry's. It is convenient to hide behind the powerlessness of one's individual's voice, to wring one's hands in anguish that Omar Bargouti's life has been threatened by Israeli officials, and to sign an online petition in his support as an example of the only thing that one can do. But this is the essence of PEP, Progressive Except for Palestine, and the stand that Ben and Jerry's, the Vermont-based company takes. They and Mr. Furman have built their own convenient wall to stand behind, denying the fact that their existence in Israel and their ice cream sales within the illegal Jewish settlements contributes to the normalisation of the egregious oppression of the Palestinian people. Mr. Furman to his credit has personally met with Mr. Bargouti and is in a position to do much more than sign an email petition on Mr. Bargouti's behalf. As Chairman of the BOD he could come out from behind his self-made Apartheid wall and take the public stand, that Israel's latest wrong against non-violent resistant must be sanctioned publicly. 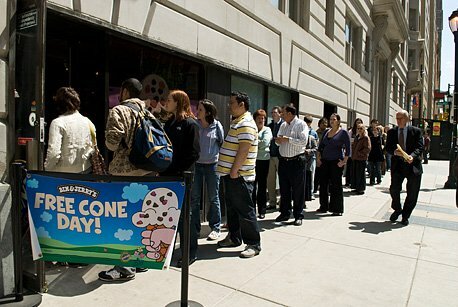 Every year, Ben & Jerry's serves 'free' cones at scoop shops. "Your Ice Cream is Free, but Palestinians are Not! ". This year it was on April 11th 2016 and, as in the previous 3 years, volunteers took advantage of this opportunity to hand out leaflets to people waiting in line, and to talk about Ben & Jerry's complicity in the illegal and immoral occupation and colonization of Palestine. This year over 2500 leaflets were handed out in ten cities in eight US States, as well as in Montréal Québec. On April 6 2016, we wrote a letter to Ben & Jerry's calling on the " Peace and Love" company to condemn recent threats by Israeli officials against Omar Barghouti and other Palestinian BDS activists. The Israeli Minister of Transportation, Intelligence and Atomic energy, Yisrael Katz, had said that Israel must carry out a "targeted civil thwarting of the BDS leadership," naming Omar Barghouti and other activists. 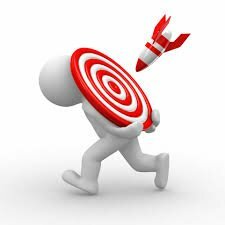 ("Targeted thwarting" is an Israeli military term for "assassination"). Additionally, according to Israeli Interior Minister Aryeh Deri, the revocation of Mr. Barghouti’s permanent residency status in Israel is being contemplated in retaliation for his BDS organizing. Our letter requested Ben & Jerry's to "issue a strong public statement condemning the recent attacks against Omar Barghouti and other BDS activists, and demanding that the government of Israel put a stop to them immediately and take all necessary measures to protect the lives of these activists and to defend their human and civil rights." 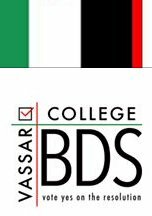 On March 6th 2016, the Vassar Student Association (VSA) voted to endorse the Palestinian-led international Boycott, Divestment, and Sanctions (BDS) movement in support of Palestinian rights and an end to Israeli human rights abuses. The Students for Justice in Palestine (SJP) BDS resolution was passed by a vote of 15 in favor and 7 opposed. VTJP wrote expressed its deep gratitude to Vassar SJP for including Ben & Jerry's in the resolution because of its Israeli franchise’s commercial complicity with illegal, Jewish-only settlements. The other listed companies listed are: the Strauss Group, the Osem Group, Hewlett-Packard Company, Ahava, General Electric, Eden Springs, Motorola, Caterpillar, G4S, and Elbit Systems. A bylaw amendment that would have prevented VSA funds from being spent on products listed in the resolution did not secure the needed 2/3 majority to be adopted; it failed by a vote of 12 in favor to 10 opposed. Considerable pressure was brought to bear on VSA by the college’s Board of Trustees and senior-level administrators. They told student leaders that if the bylaw amendment passed the administration would assume control over the VSA’s $900,000 activities budget. Vassar’s BDS activists protested these threats as "a coercive tactic and represent a clear betrayal of the principle of shared governance between students and administrators central to the VSA and the functioning of the College more broadly." 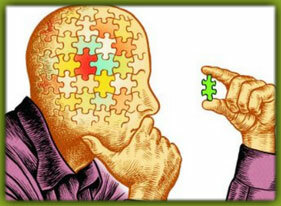 - Conduct human rights due diligence. 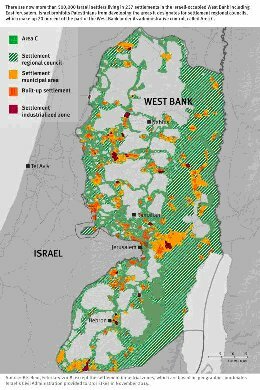 The report documents in over 100 pages how almost immediately after Israel's military occupation of the West Bank in 1967 the Israeli government began establishing settlements in the occupied Palestinian territories. From the outset, private businesses have been involved in Israel's settlement policies, benefiting from and contributing to them. The report details the ways in which Israeli and international businesses have helped to build, finance, service, and market settlement communities. Businesses are drawn to settlements by low rents, favorable tax rates, government subsidies, and access to cheap Palestinian labor. It's clearer than ever how Ben & Jerry's ice cream sold in illegal settlements supports Israel's Violations of Palestinian Rights. Email Ben & Jerry's CEO Jostein Solheim and demand an explanation. Art Hop 2015 in Burlington,VT. This year the Art Hop – weekend of September 11-13, 2015 - included a powerful 'comic strip' installation with artwork by Michelle Sayles in collaboration with Jen Berger. 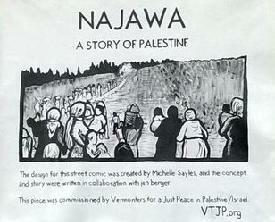 A series of 8 panels tells one woman’s story of military occupation and oppression over 8 decades. The Ben & Jerry's 'free' ice cream truck was located across the street from the 'comic strip' art installation. Many people were visibly moved by the art installation and the story it tells. Our action also included a performance of the Cantastoria about Ben & Jerry's in Palestine for the people waiting in line for 'free' ice cream (performance by Mark Hage). Leaflets about Ben & Jerry's in occupied Palestine were handed out to people viewing the art, and those waiting for 'free' ice cream cones. Many people were visibly moved by the art installation and the story it tells. The South End Art Hop attracts over 30,000 visitors to artist’s studios and local businesses that become exhibition sites for the more than 500 participating artists. 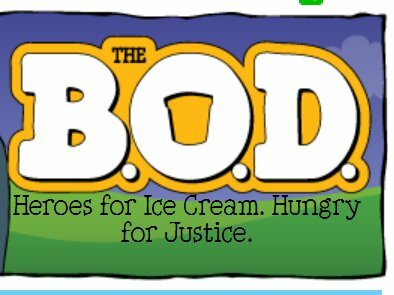 On April 10th 2015, just before this year’s 3rd annual Free Cone Day protests at Ben & Jerry's scoop shops, the company posted this statement on its website. Here is the full text of our response. As in previous statements, this one deliberately sidesteps Ben & Jerry's responsibility for its Israeli franchise’s selling ice cream in illegal, Jewish-only settlements in the occupied Palestinian territories, and does not even mention the settlements or the use of Jewish-only roads to transport the company’s products. Ben & Jerry's assures us it is "keenly aware of how complex the situation can be". The "situation" is not complex. This is a military occupation and a criminal enterprise of settler-colonialism, apartheid and ethnic cleansing, now in its 49th year. Members of the Company management and Board of Directors delegation who visited the region are not unobservant or unethical people. They are aware of international law and they know that Israel’s occupation will never be terminated, or substantially mitigated, by company-funded efforts at "cross-cultural understanding" or "sourcing from local Fair Trade farmers." This latest statement is a clear case of "misdirection" It deflects attention from the company’s "values-based" social mission and from of what is really going on in Occupied Palestine. It also confirms our decision to organize a boycott of the company. 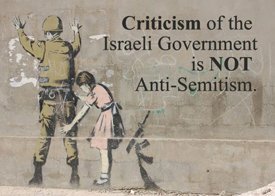 The Center for Constitutional Rights released findings (on May 18th, 2015) regarding the increasing use of accusations of anti-Semitism on U.S. college campuses to suppress speech critical of Israeli policy. 60 incidents were documented in the first 4 months of 2015 involving accusations of anti-Semitism made against students or faculty and 24 incidents involving accusations that students or faculty were “terrorists” or “supporters of terrorism,” based solely on speech critical of Israeli policy. This violates the free speech rights of students and scholars and undercuts the university as a place of debate and critical thinking, while also detracting from the fight against true anti-Semitism. The same day, Jewish Voice for Peace delivered a letter signed by over 250 academics to the U.S. State Department, asking it to revise its definition of anti-Semitism to prevent this charge being misused to silence critics of Israel. For the third consecutive year, volunteers engaged with people waiting in line at Ben & Jerry's "Free Cone Day " and handed out leaflets. Here's a report of actions at 18 scoop shop locations in 7 different States. Thousands of leaflets were distributed, and many people in line were surprised to learn about the occupation and our campaign and eager to find out more. This event is an ideal opportunity to let people know about the illegal occupation of Palestine and the oppression of Palestinians, and the illegal Jewish-only settlements where Ben & Jerry's ice cream is being sold, thus helping to 'normalize' the occupation. And here is a link to the Cantastoria, performed for waiting Free Cone devotees at the 'Flagship' Scoop Shop in Burlington, VT.
A professor of Arabic in England has challenged The Fairtrade Foundation over their enthusiastic support for Free Cone Day, requesting that the Fairtrade Foundation, while praising Ben & Jerry for its use of fair-trade ingredients, should also note in all statements regarding Ben & Jerry that they allow their ice cream to be sold in Israel's illegal West Bank (incl. 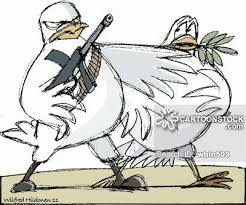 East Jerusalem) settlements, which is a matter of serious moral and legal concern. He considers that the intention of Israel's illegal settlements is ultimately to effect, by stealth, a further massive ethnic cleansing of the Palestinians. ... and wrote: "This is diametrically opposed to the principles and ideals of fair-trade." A hard hitting animation that targets the hypocrisy of Ben & Jerry's Peace and Love message versus their complicity with the Israeli occupation and colonization of Palestine appeared at the site of Apartheid Adventures. Called Licking Apartheid it is their contribution to "APRIL is FEELING GOOD ABOUT APARTHEID Month". 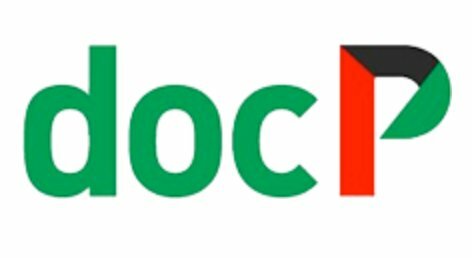 The Dutch organization DocP | Diensten en Onderzoek Centrum Palestina [Center for Service and Research on Palestine] based in Rotterdam has featured our campaign at its website [Article is in Dutch]. Allard de Rooi wrote: "I want to just let you know that we have picked up on your excellent campaign here in the Netherlands. Hopefully we'll be able to put pressure on Ben & Jerry's, and inspire others to do so as well." This is particularly significant as the Netherlands is home to both Unilever (the parent company of Ben & Jerry's), and a large Ben & Jerry's factory serving Europe at Hellendoorn. Here’s another way to make a statement. You can draw a crowd with creative artwork and one or two (or more) performers who use the time-proven technique of the Cantastoria. Then hand out leaflets to the audience now curious to find out more. This VTJP cantastoria was filmed in preparation for the April 14th Free Cone Day in Burlington VT, where it will be performed at the University of Vermont and the downtown flagship Ben & Jerry's scoop shop. Make your own artwork, then narrate the story the artwork shows, and make your next Free Palestine action even more effective. And record a video too! What's a Cantastoria? Here is the Wikipedia definition. Students for Justice in Palestine (SJP) at Willamette University decided to take some action. 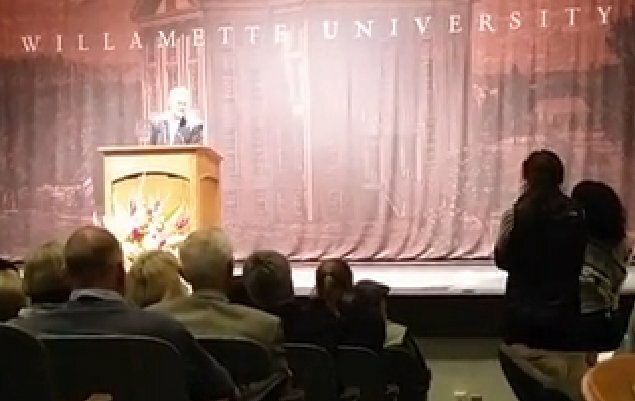 When Jerry Greenfield (co-founder and former CEO of Ben & Jerry's) gave a lecture at their campus recently to champion Ben & Jerry's radical social mission, he was politely challenged during the Q&A about ice cream sales in illegal settlements. After Jerry's unsatisfactory response SJP members staged a silent walkout. (You can watch it here). The 185 US Ben & Jerry's Scoop Shop franchise owners (who agree to the Ben & Jerry's Social Mission Statement) recently received a letter from the campaign. We appealed to them to recognize the Peace and Love mission of the Company and to request Ben & Jerry's to stop sales of its ice cream in illegal Jewish only settlements in occupied West Bank and East Jerusalem. The same letter also notified them that by popular request we are asking people of conscience to stop buying their ice cream. This Boycott is not intended to hurt the franchise owners, we hope it will result in their working with us to bring Ben & Jerry's business in Israel/Palestine into line with it's own Social Mission. On a blustery "Black Friday," November 28, 2014, activists were leafleting on Church Street in Burlington, Vermont, home to Ben & Jerry's flagship scoop shop, to tell shoppers about the commercial links between the company’s franchise in Israel and Jewish-only settlements in the occupied West Bank and East Jerusalem. Hundreds of leaflets carrying the headline IT’S ALWAYS BLACK FRIDAY IN PALESTINE were distributed. Shoppers were asked to contact the company and urge it to end its complicity with Israel’s illegal settlement regime. 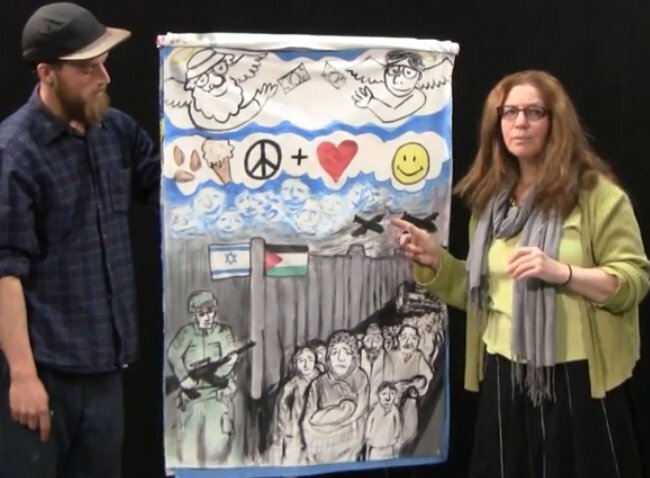 Erica Hellman on Rumblstrip Vermont hosts a commentary by Mark Hage who is a Palestinian Rights activist, and key player in the "Stop Selling Ben & Jerry's Ice Cream in Illegal Settlements" campaign. 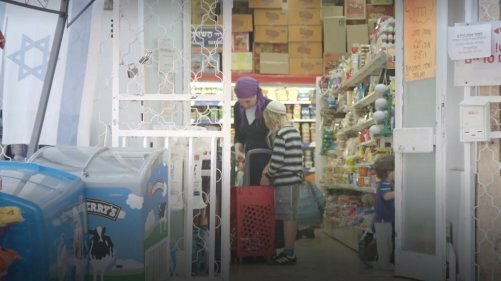 Hage paints a grim picture of the inequalities that exist between privileged Israelis eating Ben & Jerry's and living in illegal Jewish-only settlements and the discriminated people whose stolen land and demolished houses make those settlements possible. He asks "Do we have a social responsibility to rally against Ben & Jerry's presence in the Israeli occupied territories?" and makes it clear that the answer for us all, especially Vermonters, is a resounding 'yes'. Of all companies, Ben & Jerry's in South Burlington VT, can and should withdraw its Israeli franchise. Erica Hellman explains that Rumble Strip Vermont is a 'podcast' - a radio show you can listen to whenever and wherever you like. You can listen online, on your mobile device and listen on your commute, while you’re making dinner, or during root canal surgery. Got Milk? - EU Bans Israeli Dairy Products made in Occupied West Bank Settlements. The Israeli agricultural ministry informed dairy factories built beyond the pre-1967 Green Line, including the Golan Heights and east Jerusalem, that "it will no longer be possible to export dairy products produced over the Green Line, either directly or indirectly", according to the Jerusalem Post. So, the international pressure is building against Israel's illegal occupation. When will Ben & Jerry's appreciate the consequences of doing business in Israel and having their ice cream sold in these illegal and exclusive Israeli settlements? Vermont Activists Leaflet at B & J Free Ice Cream Truck at the Burlington South End Art Hop. As we've heard before, many people are astonished to learn of Ben & Jerry's activity in Israel and Occupied Palestine and express strong support for this campaign to stop it. Any event where Ben & Jerry's hands out ice cream provides a great opportunity to leaflet and to send the messages 'Today your Ice Cream is Free, but Palestine is not!' and 'Stop selling Ben & Jerry's Ice Cream in Illegal Settlements'. Let us know if we can help by providing leaflets or any other help at an event near you. Ice Cream Factory blown up in Gaza. Ben & Jerry's should take note that among the homes, factories, hospitals and schools blown up in the most recent attacks on Gaza, Israel also demolished a Palestinian ice cream factory. According to a report by Electronic Intifada, Israel fired more than ten tank shells at an iconic ice cream and cookie factory in Deir al- Balah in the central Gaza Strip, starting a fire that continued to blaze into the next day. The attack puts hundreds of people out of work and destroyed vital medicine stocks that had been stored in the building. How can Ben & Jerry's continue to operate its factory — and distribute ice cream to illegal, Jewish-only settlements — in a land that destroys Palestinian competition with tank shells? 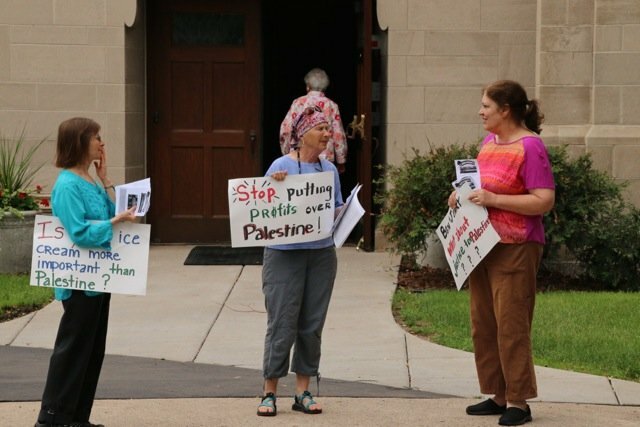 On June 22, 2014 at the House of Hope Presbyterian Church, St. Paul MN, in conjunction with a speech by Ben Cohen & Jerry Greenfield, co-founders of Ben & Jerry's Ice Cream, Members of Middle East Peace Now held the educational protest and handed out about 150 flyers before and after the event. Don (one of their members) challenged the speakers by asking: "there is much to admire in what you have done through Ben & Jerry's. However, I strongly oppose the sales of your ice cream in illegal Israeli settlements on the West Bank. Many of us in this audience are Presbyterians. Two days ago, at our General Assembly, the Presbyterian Church took a stand by voting to divest from three corporations that are profiting from the brutal and illegal Israeli Occupation of Palestine. I'm asking you - Ben & Jerry - to take a stand and stop selling ice cream in the Illegal Israeli settlements." 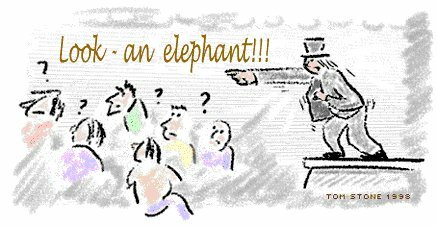 Several people in the audience applauded the question. Jerry's first response was to thank Don for the nice way he handled his question. Then without really confronting the question he said that this was in the hands of their Israeli franchise business, and briefly mentioned its support of a Palestinian enterprise - Canaan Free Trade - that markets agriculture goods produced by Palestinian farmers. European Countries Warn of Financial and Legal Consequences of Doing Business in Occupied Territories. At latest count (July 7th 2014), now 17 European Union countries have issued warnings to their nationals over doing business in Israeli settlements, stating "Financial transactions, investments, purchases, procurements as well as other economic activities (including services like tourism) in Israeli settlements or benefiting Israeli settlements, entail legal and economic risks stemming from the fact that the Israeli settlements, according to international law, are built on occupied land and are not recognized as a legitimate part of Israel’s territory". The Spanish statement said: "Potential buyers and investors should know that a future peace accord between Israel and the Palestinians, or between Israel and Syria could have consequences both for properties acquired and for economic activities promoted in said settlements. In case of litigation, it could be very difficult for member states to guarantee the protection of their interests." Also, EU entities considering commercial activities in settlements "should be aware of the potential implications for their reputation". Ben & Jerry's and its parent (European) company Unilever are apparently unconcerned about these financial and legal implications of doing business in the illegal settlements. Ben & Jerry's Responds to Our Demands by Taking the Path of NO Resistance. After more than a year of calling on Ben & Jerry's to end its Israeli franchise's business in illegal, Jewish-only settlements, the Vermont company responded formally to VTJP in a letter dated April 16. The bottom line: Selling its ice cream to Israel's illegal settlements will not end, but the company will do more to help Palestinian farmers and Canaan Free Trade "survive" the occupation. Ben & Jerry's support for farmers may alleviate the suffering of some Palestinians, but it sidesteps the real issue - millions of Palestinians are still living and working under Israel’s illegal military occupation. 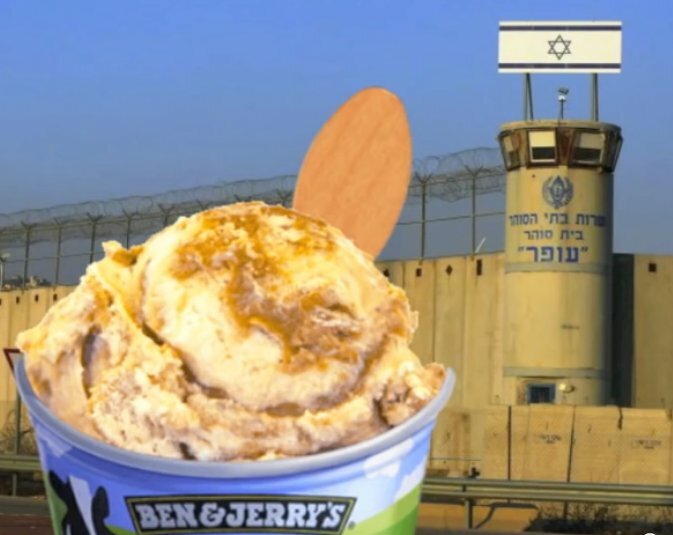 Continuing to allow sales of their ice cream in illegal settlements is in direct contradiction of Ben & Jerry's "Progressive" Social Mission Statement: "To operate the company in a way that actively recognizes the central role that business plays in society by initiating innovative ways to improve the quality of life locally, nationally and internationally". No one should live under prolonged military occupation and no socially responsible business should be collaborating with an oppressive apartheid regime. Sidestepping the Issue - "Surviving" the Occupation. In March, a delegation from Ben & Jerry's Board of Directors visited the Palestinian Fair Trade Association and Canaan Fair Trade in the occupied West Bank. (Ben & Jerry's purchases almonds from Palestinian farmers through Canaan). As reported at the Canaan Facebook page, Chairman of the Board Jeff Furman said afterwards: "I was deeply moved by my recent visit to Canaan Fair trade in the West Bank. 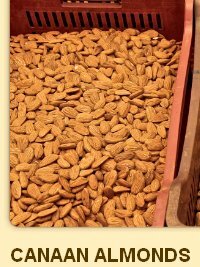 Their work is incredibly important as it gives the small holder farmers a hope of surviving the occupation." What does he mean by hope of surviving the occupation? He should be calling for an end to the Occupation! At the Facebook page, Faye (of Portland, Oregon) commented I'm glad you are encouraged. Now, how about getting Ben & Jerry's out of the illegal settlements...built on Palestinian land that was stolen from Palestinians?. We couldn't have said it better. A Tangled Web of Complicity in the Occupation - New Allegations. Ben & Jerry's Catering Services in Illegal Settlements. 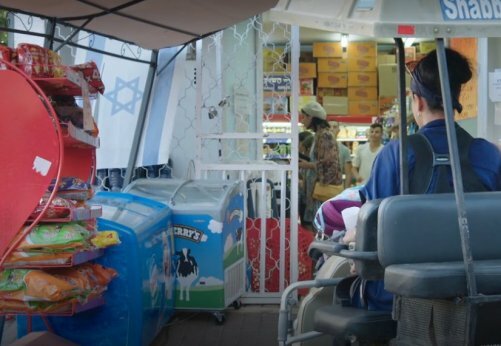 The Israeli franchise is still apparently willing to send 'party carts' to Israeli settlements - we were led to believe last year that this practice had been stopped. Recently, an Israeli-Jewish activist emailed the factory and requested such catering services in the illegal settlement called Har Adar (Giv’at HaRadar). A company employee got back to the activist with a price offer, and without any indication that this transaction would be a problem. Purchasing Equipment from a Factory in Illegally Occupied Territory. Israeli BDS activists have informed us of a business relationship between the Ben & Jerry's Israeli franchise and Beth-Al Machinery, Ltd., involving equipment purchases from that company’s facilities in the occupied (Syrian) Golan Heights where Israel’s settlements and industrial zones are a violation of international law. In an email from Rob Michalak (Director of Global Social Mission) on April 18, 2014 the company refused to respond to these new allegations. Since March 2013, over 1700 emails were sent to Ben & Jerry's CEO Jostein Solheim appealing to the company to end its complicity in the occupation. Over 230 people wrote a personalized appeal. Dozens of volunteers took part in Free Cone Day leafleting at 26 Ben & Jerry's locations across the US. Yes - 26 locations from New Hampshire and New York to Oregon and California! It was a huge success - and a huge number of people made it happen! 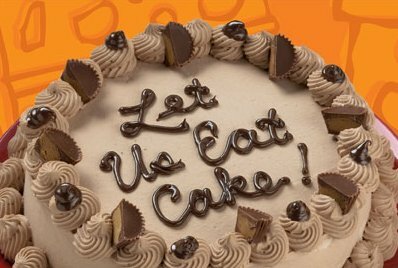 It’s clear that Ben & Jerry's is getting the message. Also – this has been a great way to bring the message of Freedom for Palestine to people who are not aware of the situation and the injustices. Take a look at photos of several of the actions. Also, over 350 people sent a special Free Cone Day email message to Ben & Jerry's CEO, and others phoned in to the corporate headquarters. Let's hope that next year we have a more positive message to publicise on Free Cone Day! Will Thomas of New Hampshire Veterans for Peace reports that the "NH Rebellion" walkers arrived in Nashua, NH on January 24th to complete their journey in honor of Doris "Granny D" Hancock. The walk was to protest the overbearing influence of money in politics, and was joined by Ben Cohen, co-founder of Ben & Jerry's, who is committed to this cause, and who arranged for Ben & Jerry's ice cream to be available at the end of the walk. 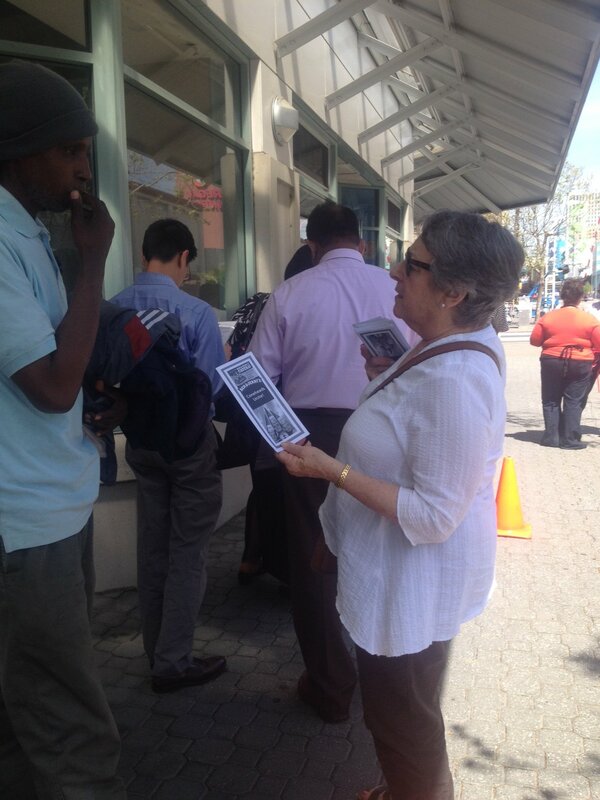 Will Thomas distributed our flyers drawing attention to Ben & Jerry's sales in illegal, Jewish-only settlements. NH Veterans for Peace is one of nearly 260 organizations that has endorsed our call to end this commercial complicity with Israel's occupation and settlement regime. 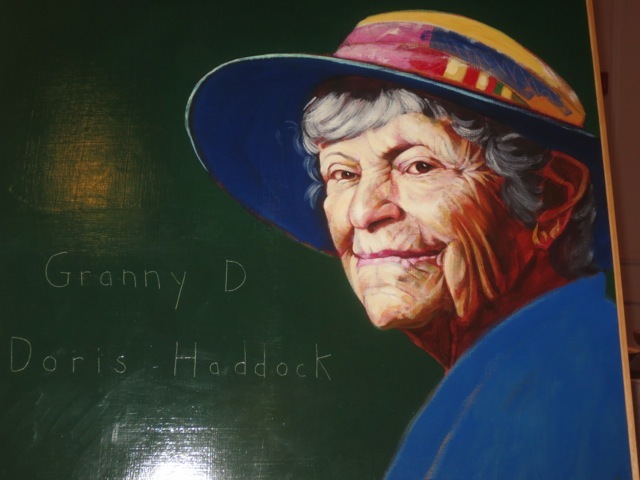 Granny D achieved national fame when, between the ages of 88 and 90, she walked over 3,200 miles (5,100 km) across the continental United States to advocate for campaign finance reform. Our specially designed greeting card was given to shoppers in Burlington, to worshippers at 3 churches in Montpelier, people at an afternoon concert at a local Unitarian Church, a Messiah sing-along in Stowe and to employees at B&J’s scoop shop in Burlington and its Waterbury factory. 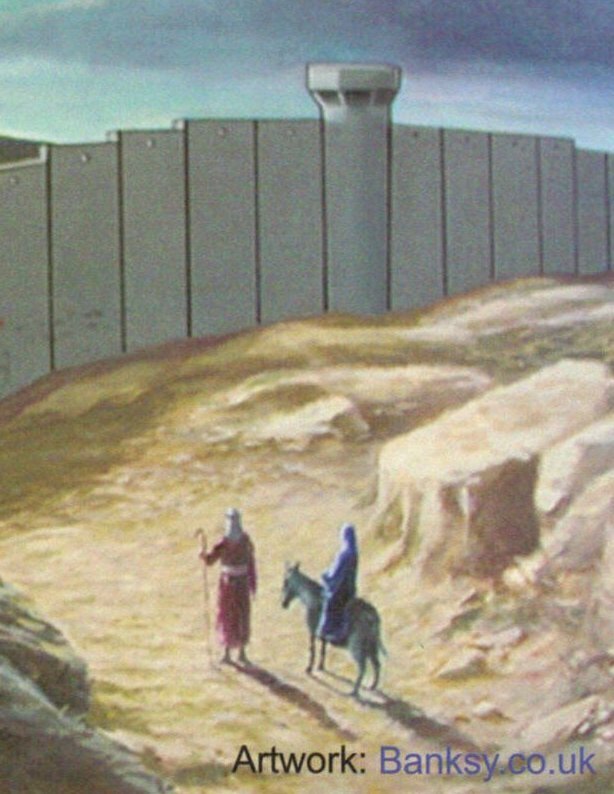 The card combined Banksy’s artwork and text about Bethlehem obtained from If Americans Knew with "Season’s Greetings", a quote about Palestine from the late Nelson Mandela, and our demand that Ben & Jerry's cease selling ice cream in illegal Israeli settlements. A package of fair trade gifts (Palestinian olive oil) and greeting cards were delivered to Ben & Jerry's corporate headquarters during the holiday season. Attached greeting cards featuring Banksy's image of the separation wall near Bethlehem included the message 'We hope to work with you for a Just Peace in 2014'. 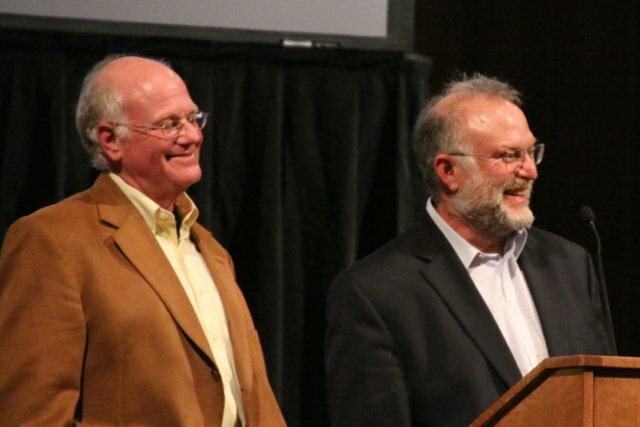 Ben & Jerry's CEO, Jostein Solheim, was a featured speaker at "Making Dough, Making Change", an event featuring socially responsible business leaders held at the University of Vermont on September 26. During the evening's question and answer session, Mr. Solheim was challenged by Nolan Rampy, an activist with Students for Justice in Palestine-UVM and the International Socialist organization, to explain how his company could reconcile its social mission with selling ice cream in Jewish-only settlements in Occupied Palestine. A clearly uncomfortable Mr. Solheim responded that Ben & Jerry's does not do business directly in the settlements. It merely sells to distributors in Israel, who then market where they please. It seems that Ben & Jerry's does not want to accept responsibility for selling in the settlements, so hides behind the actions of its distributors. In this way, Ben & Jerry's can keep making money selling its "peace and love" ice cream to Israeli settlers who terrorize Palestinians and steal their land while pretending to take the high road. September 20 was a stunning, late summer day in Vermont. 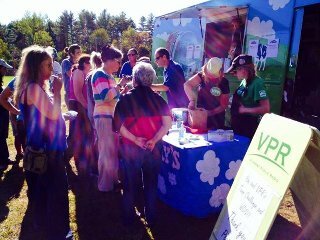 The perfect time for an ice cream "social" sponsored by Vermont Public Radio and featuring Ben & Jerry's delicious flavors. 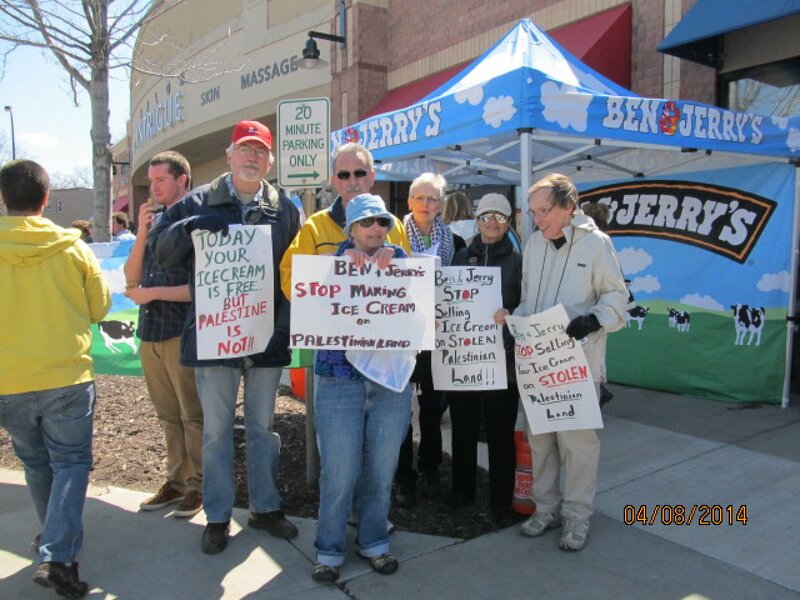 It was also the perfect occasion for informing the people of Plainfield, Vermont, where this social was held, about Ben & Jerry's complicity with Israel’s occupation and illegal, Jewish-only settlements. Two VTJP activists distributed a few hundred leaflets at the Plainfield social and engaged local residents on Ben & Jerry's unethical business in the Occupied Palestinian Territory and how they could help end it. As usual, the great majority of the people we spoke with were surprised by the news and supportive of our efforts. One woman said, "A friend of mine was supposed to come with me, but she said she won’t eat Ben & Jerry's ice cream again until they get out of the settlements in Palestine." The South End Art Hop is a three-day event in Burlington, Vermont, that occurs every September. It attracts more than 30,000 visitors to art galleries and exhibition sites of more than 500 artists. Ben & Jerry's is a sponsor and gives away free ice cream at a prime location. We handed out several hundred leaflets and engaged visitors about Ben & Jerry's commercial complicity in Israel's military occupation and illegal settlements. The most common reaction to the news that Ben & Jerry's has a factory in Israel and sells ice cream in illegal, Jewish-only settlements in the West Bank was " REALLY???" organizations Worldwide Sign a Letter Urging Ben & Jerry's to Honor its Social Mission. VTJP’s campaign to end Ben & Jerry's commercial complicity with Israel’s illegal occupation and settlements has taken another leap forward. On September 9, we released a letter signed by over 150 civil society organizations across the world urging the company “to stand by its Social Mission and to ensure that its products are not sold, catered and distributed in Israeli settlements” in the occupied West Bank, including East Jerusalem. In mid-July, we sent a letter to all the the members of the Ben & Jerry's Board of Directors. It invited each individual to engage us directly on the matter of the company's commercial complicity with Israel’s occupation and illegal settlements. The letter said, in part, "We deeply value our dialogue with your company on the question of Israel/Palestine and the occupation, which is why we waited nearly two years before going public with our concerns. Because we are committed not only to sustaining that dialogue, but expanding it, we are reaching out to each Board member." On a more optimistic note, we heard from Rob Michalek (Ben & Jerry's Global Director of Social Mission) that "Mike Graning [Ben & Jerry's CFO] made a trip this summer [to Israel and the West Bank] and met with people from both sides of the issue". Despite our earnest appeal to Ben & Jerry’s to recognize that doing business in Israel and occupied Palestine is inconsistent with its social mission, Y-NetNews.com reports that the Ben & Jerry’s plans to expand its business in Israel and the illegal settlements by adding frozen yogurt to its range of products and developing exports. Ben Cohen, co-founder of Ben & Jerry’s and political activist, teamed up on June 18, 2013 with CodePink in Washington, D.C., to protest the influence of money in American politics. Afterwards, in coordination with VTJP, an activist with the U.S. Campaign to End the Israeli Occupation presented Ben with a petition signed by more than 3,900 people in support of VTJP’s campaign and pressed him to do more to end Ben & Jerry’s commercial ties to Israel’s occupation and illegal settlements. Copies of the petition and the list of its signatories were also sent by VTJP to Ben & Jerry’s CEO, Jostein Solheim. Volunteers and activists distributed leaflets to people waiting in line for free cones at three Ben & Jerry’s locations in Burlington, VT, at Ben & Jerry’s Vermont corporate headquarters, and at Ben & Jerry’s scoop shops in Mount Kisco, NY, New York City, Greenbrae, CA, and Berkeley, CA. In Burlington, the action was reported by local television news stations. 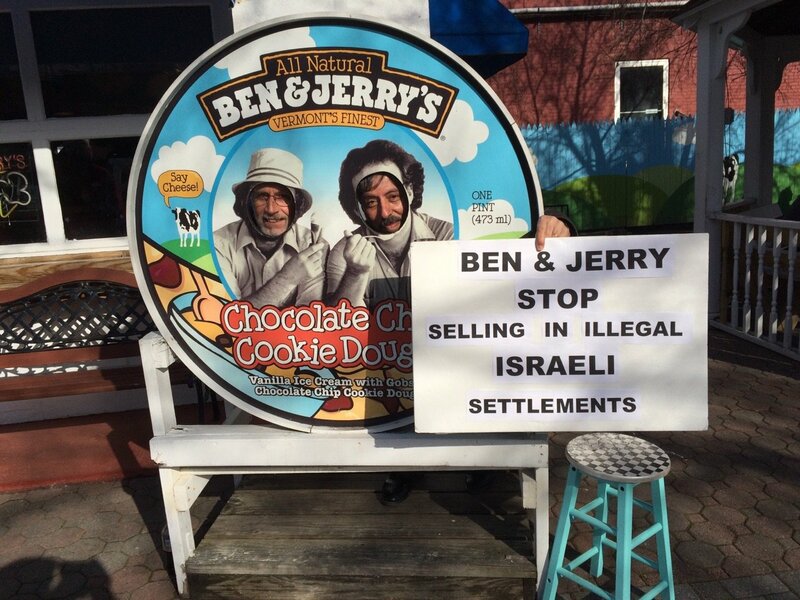 See Mondoweiss: Ben & Jerry's Free Cone Day is Greeted by Free Palestine Demos and Free Cone Day details at the US Campaign to End the Israeli Occupation. 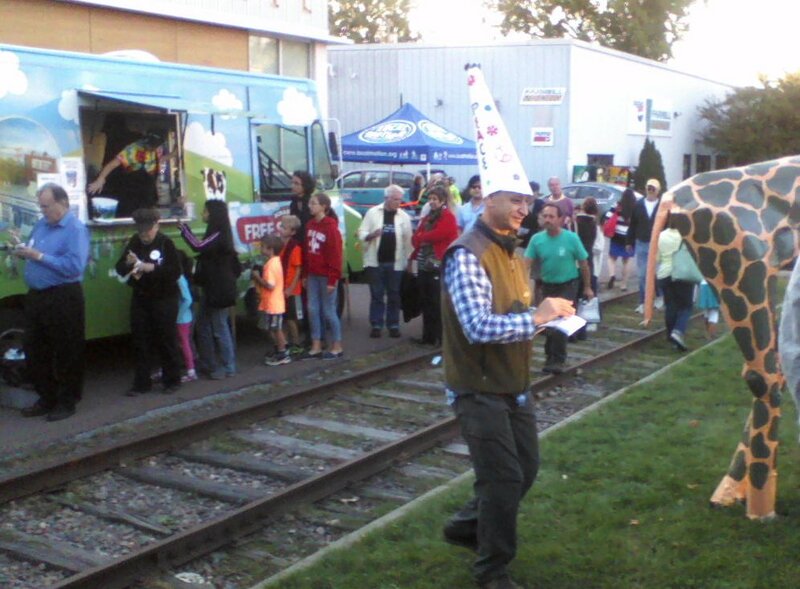 See photos from the “Free Cone Day” actions! 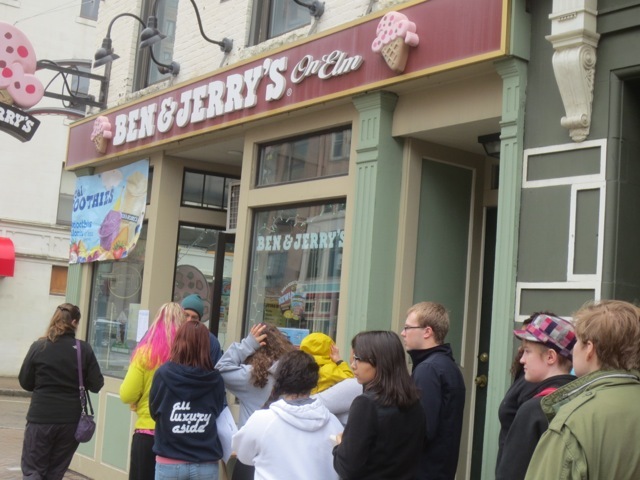 Responding to your phone calls, e-mails, extensive press coverage and “Free Cone Day” protests, Ben & Jerry's invited VTJP to meet on April 30th 2013. This meeting, which VTJP had avidly requested for several months, lasted two hours. It was attended by the Chair of Ben & Jerry’s Board of Directors, its CEO, Chief Financial Officer, and the Global Director of Social Mission. VTJP sent a delegation of five activists. To its credit, Ben & Jerry’s retracted inaccurate statements about Israel’s occupation and settlements that had been made to the media in the wake of our campaign’s launch. 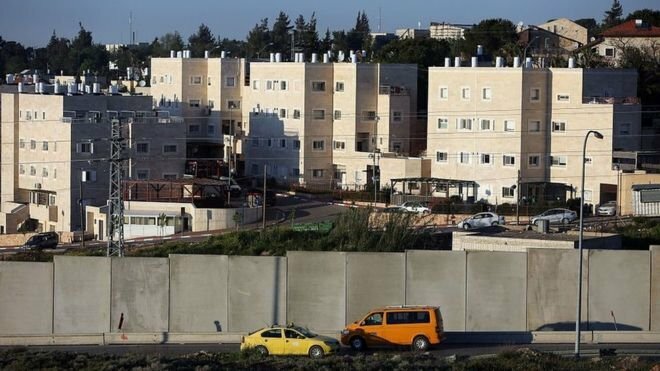 CEO Jostein Solheim also said the company is aware that Israel’s settlements are illegal under international law. He and Jeff Furman, Ben & Jerry’s Board Chair, reiterated that they believe the Ben & Jerry’s franchise in Israel has ceasd operation of party carts to Israeli settlers in the occupied Palestinian territory (oPt). Confirmation by Ben & Jerry’s and VTJP is still pending. Jeff Furman also shared some of his experiences of his visit the oPt in 2012. He said that as a Jewish-American and social activist, he was profoundly affected by this trip. He expressed his critical analysis of Israel’s occupation and settlement regime and his general support for BDS. Unfortunately, Mr. Furman and the company’s management team did not agree to end Ben & Jerry’s commercial complicity with Israel’s settlements. 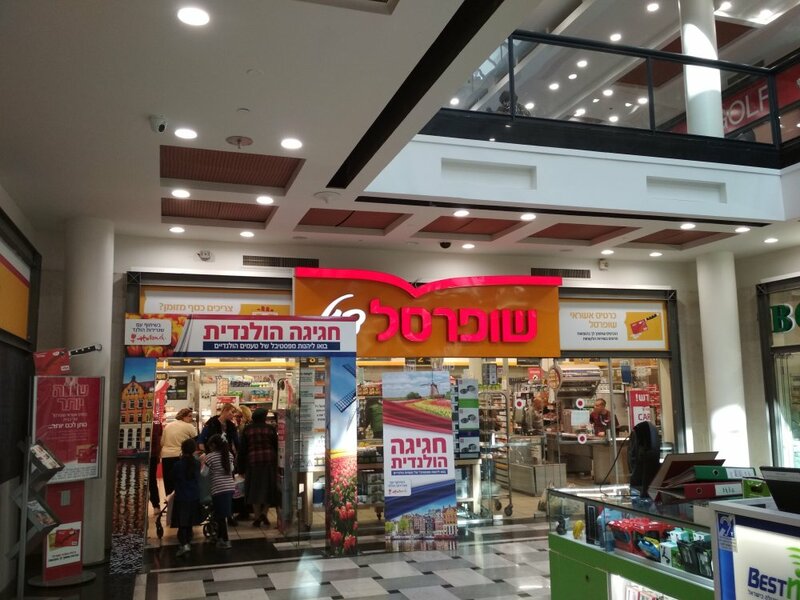 They asserted that their franchise does not control the destination of its ice cream after it is purchased by Israeli distributors who transport it to the settlements. They also fear that any effort to restrict business to settlements will put its licensee, Avi Zinger, at risk of settler backlash and legal action from Israel’s 2010 anti-boycott law. Solheim stated that previously Israeli licensee had been in a preferential situation, paying no royalties to the company, but we understand that here is now a formalized contract (apparently similar to those for other franchises). The meeting ended with a commitment by both parties to keep talking. We have urged Ben & Jerry's management team and Board directors to travel to the oPt to observe first-hand the realities of Israel’s military occupation and illegal settlements. Jeff Furman, the Board Chair, did so in 2012. But he is not alone now. In late June 2013, Mike Graning, Ben & Jerry's Chief Financial Officer, also visited the oPt while in the region to meet with the head of the company’s franchise in Israel, Avi Zinger. According to the message we received from Ben & Jerry's, "Mike’s Palestinian guide will provide him with a better understanding of, among other issues, settlements, water issues and the West Bank wall." and promised a more detailed summary of Graning’s trip to Israel/Palestine in mid- to late July 2013. What is Ben & Jerry's Saying Publicly? Not much. Subsequently, the President of the Ben & Jerry's Board of Directors, Jeff Furman, told the Burlington Free Press that he believes catering operations to the settlements have stopped since VTJP brought the matter to the company’s attention. This would signify a major victory for the campaign! Oberlin College is the alma mater of Ben & Jerry's co-founder, Jerry Greenfield. Forty Oberlin College students and alumni signed a letter to Mr. Greenfield urging the company to take actions called for by our Campaign. Read their letter here: 'Obies' Urge Ben & Jerry's to End Complicity with Occupation. The campaign has been covered by major Vermont media outlets as well as publications in the U.S., United Kingdom and Pakistan. Middle East Monitor: One Year On: The campaign to end Ben & Jerry's complicity with Israel's occupation. 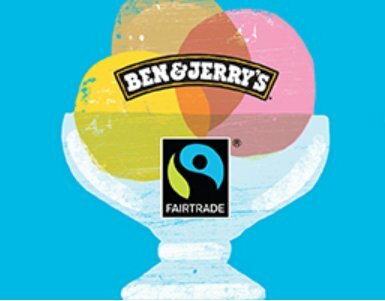 VT Digger published our press release about a letter to Ben & Jerry's signed by 151 civil society organizations worldwide. 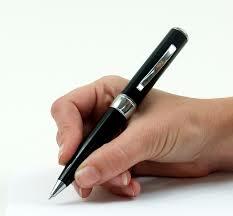 (Now nearly 200 signatories). In media comments about VTJP’s efforts, Board member Furman -- who is an anti-racism activist who traveled last year to the West Bank, including East Jerusalem, with a delegation of American civil rights leaders -- spoke about Israel’s settlements and called them "illegal." Check out our Facebook page and spread the word!